Kathryn Kentyre has been said to be the illegitimate daughter of Mary, Queen of Scots. For 16 years, Queen Elizabeth has kept her tucked away in the Midlands. With Mary's execution imminent, Elizabeth hits on a daft plan: she coerces the imprisoned pirate Robert MacDarren into marrying Kathryn and taking her to Craighdhu, his home in--of all places--Scotland. Kathryn, who has endured a wretched life in the home of a sadistic vicar, philosophically toddles off with Robert. En route to Scotland, the reluctant bridegroom establishes a "handfast" marriage, which he can dissolve after one year (thus disposing of his politically dangerous spouse) provided Kathryn does not bear a child. Robert's insistence on sleeping with Kathryn is illogical in light of the terms of the marriage and his wish to separate after a year. 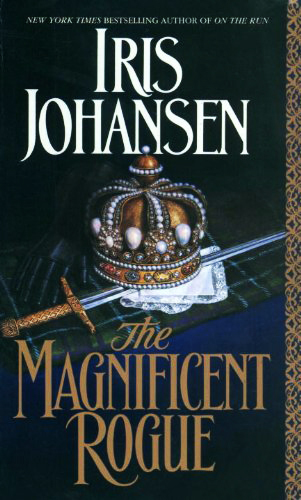 As Johansen's plot makes its desultory way through increasing romantic and political entanglements toward an ending that is more incredible than surprising, Kathryn establishes herself at Craighdhu, courageously defending her new home and family from one who would use her as a pawn in a plan to seize power.